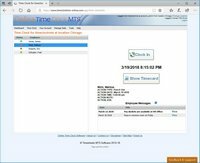 Time Clock MTS - Time Clock and Payroll Software! 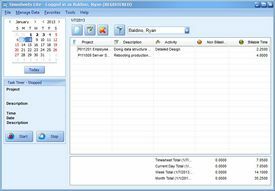 Are you keeping paper based employee attendance records and manually tallying your timesheets every month? Are you struggling to comply with complex overtime and payroll regulations? If you want one simple time clock software system which all your employees can clock in or out from? If you need real time accurate attendance reports and automatic compliance with your payroll and overtime rules? If your answer is yes then Time Clock MTS is for you. 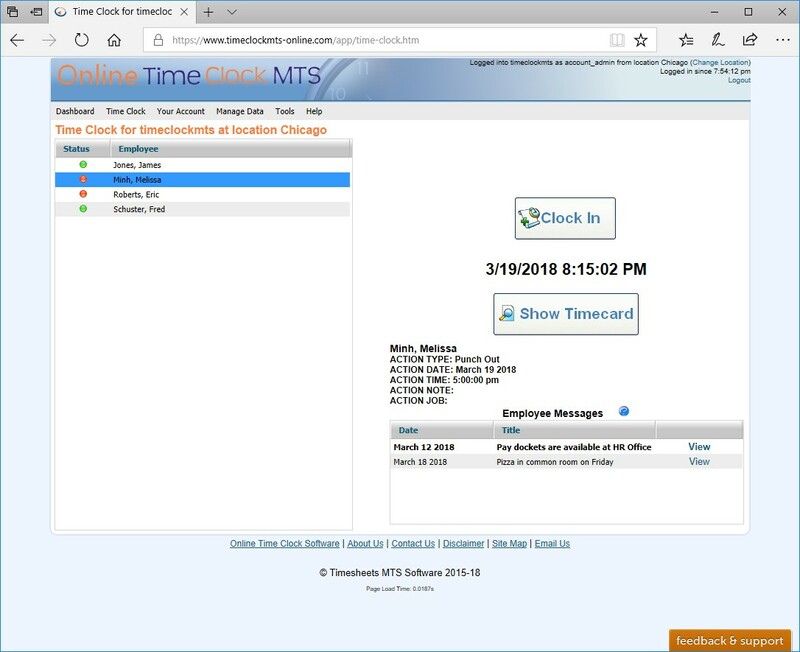 Online Time Clock MTS - Online Time Clock and Employee Attendance Software! Do you want to use any computer with a web browser as a time clock station? Don't want to be bothered with problems with installing and maintaining desktop Time Clock Software? 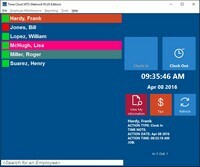 Do you want one simple to use and manage online time clock system that you can run from any web browser? Do you need payroll reports that are up-to-the-second accurate regardless of where in the country or world your employees are? Do you operate from more than one location and do you need all your time clock data to be processed easily in one central office? If your answer is yes then Online Time Clock MTS is for you. Timesheets Lite - time tracking software! Do you just need to track time spent on projects and want to handle the financial side of things yourself? Something fast, accurate, and easy to use with flexible mutiple format reporting that allows you to generate your own invoices. If this sounds more like what you need then our low cost time tracking software, Timesheets Lite is for you. Do you want to recover ALL your chargeable hours, project material costs and project travel costs? 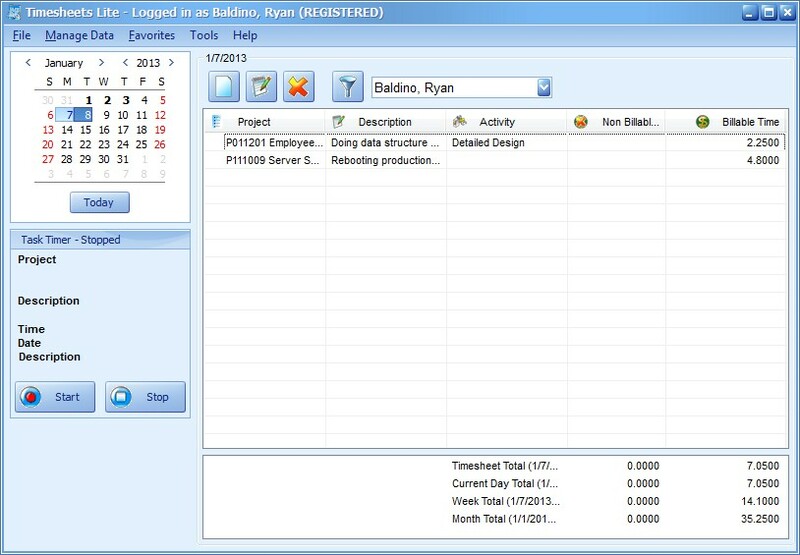 Do you need project time tracking, expense tracking and travel tracking for your projects? Need to track them accurately and with minimum overhead? Do you need to close the loop and raise invoices that reflect your actual costs accurately? 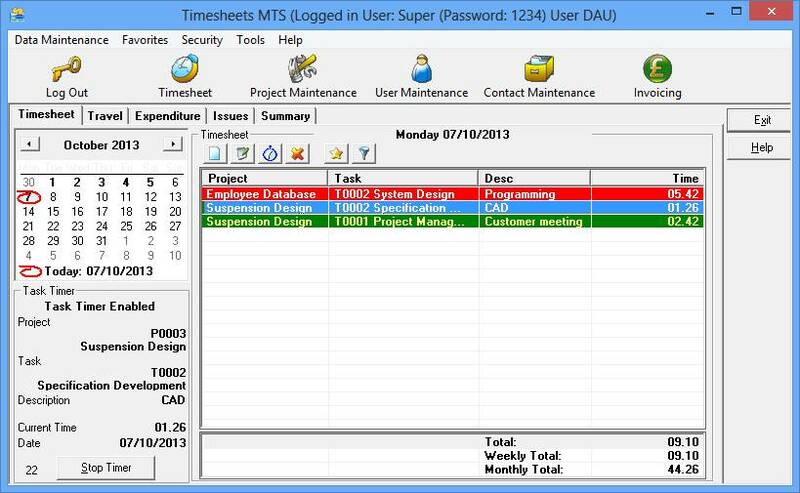 Then our low cost Time and Billing Software package, Timesheets MTS is for you. Can't decide whether Timesheets MTS or Timesheets Lite is the right package for you? Look down the following list of features and choose the one most suitable to your requirements!